SAINT-QUENTIN-EN-YVELINES, France — Rory McIlroy's week started off quietly when he suffered through a birdie-free fourball thrashing. Things have changed significantly since then. For the second consecutive day, McIlroy teamed up in the afternoon for a foursomes battle with teammate Ian Poulter. 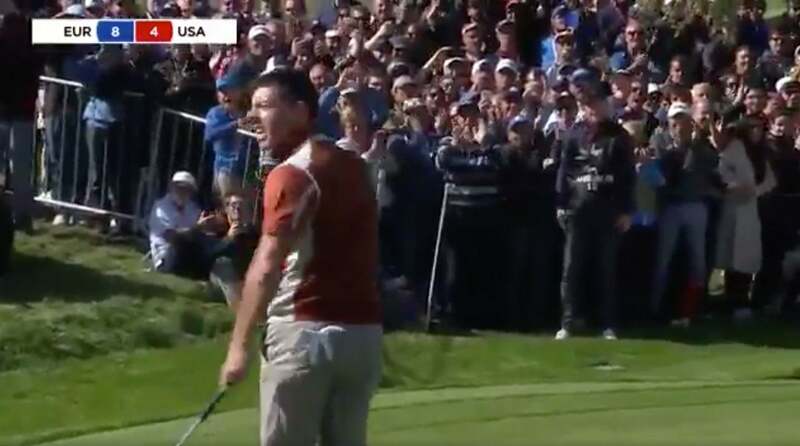 He poured in a putt on the par-5 3rd hole, earning a half, and just about lost his mind. Watch this video: https://twitter.com/RyderCupEurope/status/1046025490694201345 Okay, now watch it again. This is six seconds of perfection. Rarely does golf provide us with such concise brilliance, and there are six things you need to make sure you take away from seeing a rejuvenated Rory here. 4. This shrug! Combined with this look?! 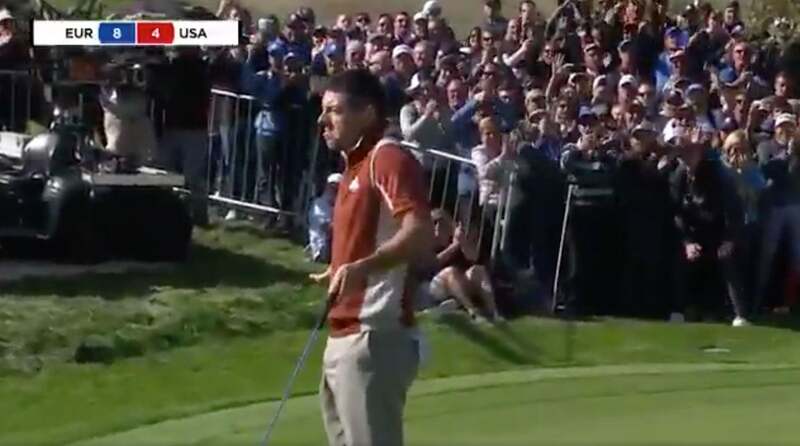 If you're on the receiving end of a Rory McIlroy shrug-stank face, I think you have to leave the event. 5. Whatever he said at this exact moment. I can't lip-read all of it, and if I could I don't think it would be suitable for transcription to the GOLF.com audience. Regardless, the crowds seemed to enjoy it. 6. Whether McIlroy can, in fact, putt on a level with his peers is a matter up for some debate. McIlroy ranked 85th this season on the PGA Tour in strokes gained putting, which is actually an improvement over his two previous years. But they say putting is all confidence. He seems to have enough of that, and it served him well early Saturday afternoon.